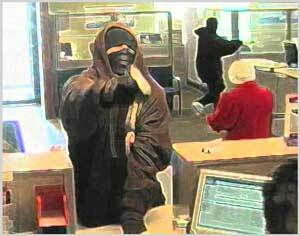 Robbery is a crime that involves stealing from another person’s goods or property by way of violence, force, or threatening. This is usually both a crime of theft and violence. There are a several types of robbery and theft crimes, each having variable levels of punishment under the law. If you have been charged with theft, it is critical to contact a Toronto criminal defence lawyer to help you in properly protecting your rights, whether it was petty theft or armed robbery. A criminal record from a robbery conviction will make it difficult to find employment, travel abroad, and cause inevitable issues with family and relationships. (d) steals from any person while armed with an offensive weapon or imitation thereof. R.S., c. C-34, s. 302. 344 Every one who commits robbery is guilty of an indictable offence and liable to imprisonment for life. R.S., c. C-34, s. 303; 1972, c. 13, s. 70. (ii) of an offence punishable on summary conviction, where the value of what is stolen does not exceed five thousand dollars. Have You Been Accused of or Charged with Robbery and/or Theft? Our Toronto legal team has over 60+ years of experience in the defence of significant criminal circumstances, of all varieties of theft crimes. There are various strategies for each case, and our lawyers will examine the evidence and circumstances surrounding your charges, to determine your best defence. For example, there are frequent instances of mistaken identity, and circumstances of individuals leaving a store and forgetting to pay for an item. This can happen to just about anyone, and must be handled with care so that you do not end up with a criminal record unnecessarily. During the investigation of more serious theft crimes, there may have been errors in law enforcement procedures, improper acknowledgement of your rights regarding search & seizure practices, or various other aspects of your situation that may work in your favour. Without criminal law experience, you would likely never know about these technicalities, so it is important that you seek an expert defence lawyer for your case to start gathering the evidence or witnesses testimonies that will work towards your best outcome. Make sure you do not give any information to the police during questioning without the presence of a lawyer. If you learn that you are being investigated for a theft crime, do not respond to any questions, but politely inform the investigators that you would like to contact your lawyer first. Call today to speak to one of our Toronto robbery and theft lawyers, who will protect you during the process, aggressively pursuing an ideal outcome of charges dismissed, withdrawn or a lesser sentence. See what our other clients are saying about us. We can help you too!